The 2018 Capcom Pro Tour is soon coming to an end. With Capcom Cup looming over the horizon, we’ve compiled all the information you need to know to best enjoy the year’s final Street Fighter V tournament. Capcom Cup marks the final tournament in every season of the Capcom Pro Tour. Taking place in December, at the very end of the season, it usually heralds major announcements – and equally serious competition. With 31 qualified combatants and an open-entry, last-chance qualifier, the Cup is a ruthless battleground for Street Fighter’s top players. Fists will fly in this location! This year’s Capcom Cup will throw down at the Luxor’s Esports Arena in Las Vegas, Nevada. Taking place over a span of three days, from December 14-16, the first day will hold the Cup’s open-entry, last-chance qualifier. The brackets for the LCQ have now been finalised, and see such high-profile names as UYU’s Brian F, Long ‘LPN’ Nguyen, and even Kenneth ‘K-Brad’ Bradley. While pools are stacked, not everyone will be able to catch the action in-person; those who purchased spectator passes will only gain access to the Top 32 and Top 8 on Saturday and Sunday, respectively. However, qualified players may spectate the LCQ, as can players who paid to enter the tournament (provided they show up to play their matches). Spectators can also catch the action on the Capcom Fighters Twitch stream, which will begin at 10 AM with a projected end time of 6 PM. December 15 – 16 will see the Cup’s Top 32 players throw down to determine the Top 8 bracket for Sunday’s finals. 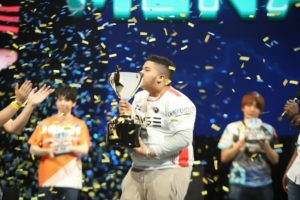 Following Seonwoo ‘Infiltration’ Lee’s voluntary withdrawal from the CPT (as revealed in Capcom’s statement addressing multiple accusations of domestic abuse against the player), the top 31 qualifiers shifted – including the spot for the LATAM Regional Finals qualifier. While Qualifier champion Lenny ‘Crossover’ Matos had already secured a spot in the top 31, Visa restrictions for the Dominican player ultimately prevented his attendance. Thus, Capcom chose Lima Salty winner Gonzalo ‘Pikoro’ Buleje to take his place, due to his second place win under Crossover at the Finals. Top 8 will take place on Sunday, December 16, with a special exhibition match preceding the competition. Street Fighter OGs Alex Valle, John Choi, Afrolegends, Damdai, and more will compete in the Street Fighter II: Turbo ‘Champions Collide’ exhibition, ringing in the year’s final tournament with some old-school fighting game goodness. That’s not all; special guests Dan the Automator, Del the Funky Homosapien, and Domino will perform G’s catchy trailer theme from his Evolution reveal, alongside artists Super Cr3w and DJ Qbert with their own respective performances. 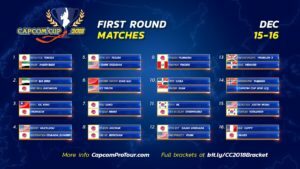 This is one Capcom Cup that fans won’t want to miss out on! Have you considered your destiny? Of course, these performances will pale in the face of upcoming reveals, which have seen major speculation in the months ahead of the Cup. Thanks to notorious data-miner X-Kira, fans are anticipating everything from beloved legacy characters to new game modes – even going so far as to “leak” a slew of possible mechanics like Killer Instinct’s Combo Breakers. While these leaks may or may not hold any weight, X-Kira’s recent predictions have been spot on, especially considering the release of M. Bison’s classic Street Fighter II costume. Red Bull’s NA Regional Finals likewise saw possible hints of a new character, although much debate has circulated as to the clue’s legitimacy. Amongst the blue, yellow, and white confetti released upon Victor ‘Punk’ Woodley’s victory fell a few red pieces, prompting fans to speculate that characters Rose and C.
Viper could be on their way. 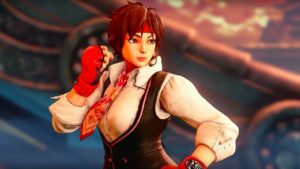 While last year’s Red Bull Battlegrounds was more on the nose with its clue (scattering sakura blossoms amongst the confetti and placing a special flower effect after its V-Trigger II trailer), this year’s “hint” fell fairly flat – meaning that it might not have been a hint, at all. Who will emerge the champion? 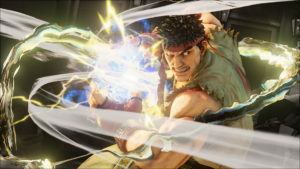 Out of this year’s qualified players stand some veritable monsters of Street Fighter V. Hajime ‘Tokido’ Taniguchi has proven his strength throughout the title’s lifetime, winning a whopping three Premier tournaments this season, alone. 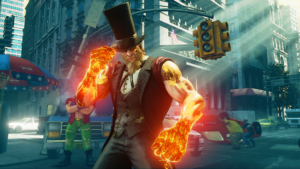 While he took the 2017 Evo Championship and second place at last year’s Cup, he lost to the UK’s Benjamin ‘Problem X’ Simon at Evo 2018, who likewise brings major strength to the bracket with a deadly combination of G, Abigail, and M. Bison. Also in the mix is Fujimura Atsushi, who made waves earlier in the season with his impressive use of Ibuki. Having taken both CEO and Stunfest, this player is not one to mess around with – as is Street Fighter legend Daigo ‘The Beast’ Umehara, who has continued to showcase his skill throughout the season, placing highly in the Red Bull Paris Kumite just ahead of the Cup. With competition this stacked, there’s no telling who will make it out on top – but the CPT’s top players are sure to put on a stellar show. With exclusive performances, special exhibition matches, and a Top 32 bracket guaranteed to deliver nail-biting competition, this year’s Capcom Cup is not one to skip out on. Whether you’re attending in-person or watching from home, make sure to check out the action during Top 8, as well as the game’s highly anticipated character reveals. Which fighter do you predict will make it into SFV, next? Who’s your pick to win the Cup and be crowned champion? Only time will tell, and it is quickly ticking forward to the Cup’s end on December 16!